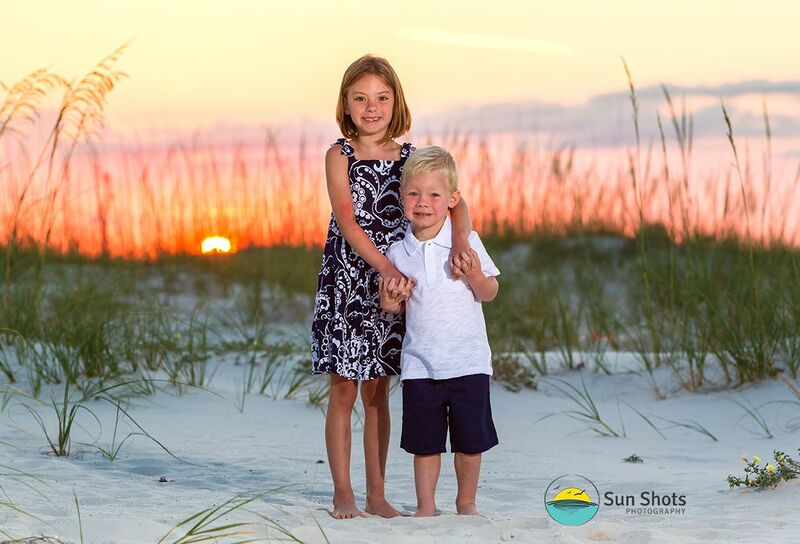 Are you in the market for professional beach portraits in Orange Beach, Alabama? If so we have a little advice. Sometimes it is best to just sit back, take a deep breath and take it all in. Our world is absolutely beautiful and the small moments in life make it all worthwhile. Take for instance this morning's sunrise. It was absolutely amazing, yet it went as quick as it came. It was just a mere few seconds and those seconds instantly turned into memories that will last a lifetime. If you had the chance to see it, you were well rewarded yet if you slept right through it, you would be none the wiser. That is why we showed up prepared to make the memory into a family heirloom. A moment in time captured for all to remember for a lifetime ahead. Sure it is now a Facebook post and will get many many likes, but it is also an image that can be made into art that will last forever. This art is not just a push of a button but rather a summation of the years of experience and knowledge to use the right equipment and balance the natural world with our subjects. We are professional light manipulators and our knowledge and skill will never be replaced by a trendy gadget. We are apart of a small group of individuals throughout the world that practice a true craft. We would love to start a conversation with you about sharing our art with your family as well. We have devoted the past fifteen years developing our craft to make such stunning art like this, and we want to work for you! We will go the extra mile to help you obtain the absolute best professional beach portraits available. We promise to stop nothing shy of a family heirloom... What will you remember? Call us today and find out, hurry before your sunset fades into a forgotten opportunity!